Honestly not a fan of the schedule especially the first 2/3 of it. Other than drawing UCONN before the cold sets in. A very early bye week right after a glorified bye week. A tricky non-conference game sandwiched between 3 conference road games. What is likely cross division 1A or 1B right before Cent Florida. Very little opportunity to recover from the nagging injuries. Hopefully this can be offset by not having to leave Florida in the month of November. As a fan I love the fact that the only potential real hot weather home game in SMU. 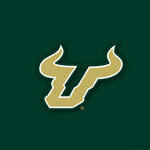 I am a fan of the schedule because it is college football involving the Bulls. I'm getting married Nov. 2nd (I know, I know.. weddings and football season..) so when the schedule was released and I saw the bye week I may or may not have screamed like a little girl. This schedule is perfect in nearly every aspect imo. One way or the other there will be one season when there will be a huge USF game that you are going to miss due to a anniversary dinner...it’s that’s the price you must pay....oh congratulations on your upcoming wedding . Luckily she's a fan too and cool enough that if a big game were to happen on that date we'd just postpone plans. That wasn't an option this year so thank God that it worked out. The anniversary will fall on a Saturday once every seven years so hopefully our bye week coincides too. Or a week day game. And thank you! I got married the Saturday after “The Rutgers Game” in 2007. When we set the wedding date we did so also looking st the football schedule. Yeah, she’s a keeper. Hahaha. This is because you are still a prospect. Once you become a client the game changes.